The composer Karlheinz Stockhausen passed away on December 5th 2007 at his home in Kuerten-Kettenberg and will be buried in the Waldfriedhof (forest cemetery) in Kuerten. The "father of electronic music" ad founder of the WDR studio composed 362 individually performable works (Kontakt, Gruppen, Momente, Stimmung, Helikopter-Quartett, Hymnen, Licht). The works which were composed until 1969 are published by Universal Edition in Vienna, and all works since then are published by the Stockhausen-Verlag. 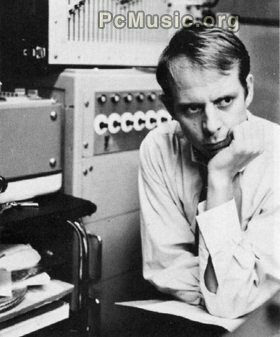 Numerous texts by Stockhausen and about his works have been published by the Stockhausen Foundation for Music. tockhausen always said that God gave birth to him and calls him home. On Thursday, December 13th 2007, from 10 a.m. to 1 p.m. it will be possible to personally say farewell to Karlheinz Stockhausen in the chapel of the Waldfriedhof in Kuerten (Kastanienstrasse).